Cigarette holders became popular when women began to demonstrate smoking in public places on equal terms with men. For decades, cigarette holders have been the signature accessory for the lady who smokes. Cigarettes with mouthpieces gain some exquisiteness in emancipated lady’s hands. Nowadays cigarette holders do not lose their refinement at all, moreover, they became an inseparable and a practical part of smoking process. To your attention is a trendy Modern Cigarette Holder made by Ukrainian master. 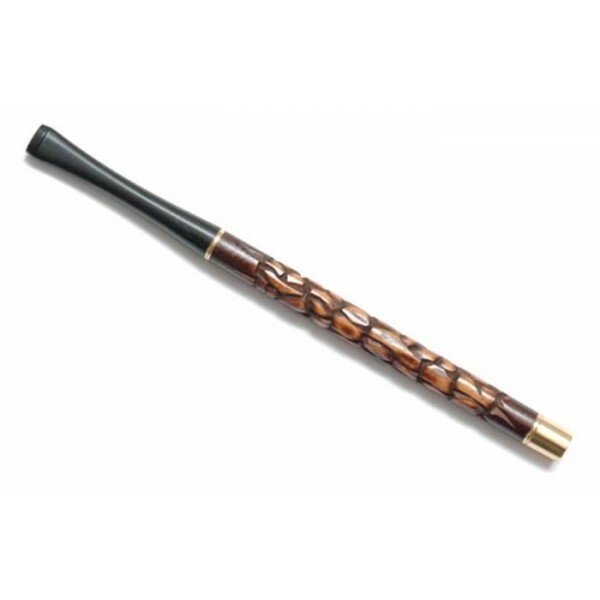 This holder is made from a natural fruit wood with an ebonite tip and brass end. It is a completely manual work! The modern pattern design cannot go under your radar. The mouthpiece attracts with its originality, distinctive appearance and lack of banality. 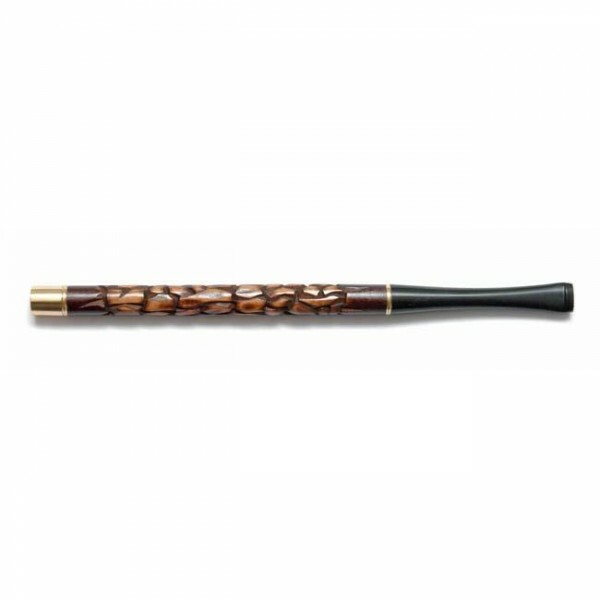 It is a perfect cigarette holder for your unique signature. The cigarette holder accepts standard cigarettes such as the Marlboro, the Dunhill, etc.